Raleigh, N.C. – David Hayden, was recently re-elected to the board for the North Carolina Defense Business Association (NCDBA). This will be his third, two-year term on the board. He is currently the Chairman of the Legislative Committee and Vice-Chairman of the Board. David was instrumental in starting the Legislative Committee and he has served as Chairman since its inception two years ago. The Association serves as a resource to defense-related businesses throughout the state of North Carolina. As a member of Smith Anderson’s Government Contracting practice, David represents a variety of defense contractors, advising on a broad range of federal contracting issues such as bid protests, teaming agreements, subcontract agreements, joint ventures, the Small Business Administration 8(a) Business Development program, International Trafficking in Arms Regulations (ITAR), corporate ethics and organizational conflicts of interest (OCI) compliance issues. He also advises companies and their directors and officers on corporate governance matters and other general corporate and business topics. 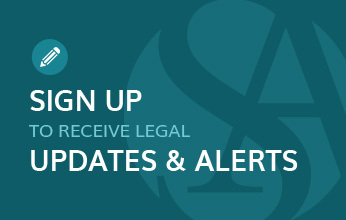 For more information, please visit SmithLaw.com. The mission of the North Carolina Defense Business Association (NCDBA) is to provide information, connections and networking opportunities to its members to build relationships and promote defense- related businesses within the state of North Carolina. The North Carolina Defense Business Association is comprised of a group of businesses with interests in military contracting, government affairs and supporting the state's military installations. The purpose of the Association is to build the Defense and Homeland Security industry clusters at military installations in North Carolina. For more information, please visit www.ncdba.com.